Integrate your SAP data in your Power BI Destination – fast, straight-forward and user-friendly. 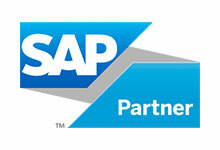 Xtract Universal enables an integration between your SAP ERP or SAP BW system and Power BI. We suggest an implementation of an interim data warehouse between SAP and Power BI for this scenario. This interim data warehouse will be filled by Xtract Universal (semi-)automatically. This solution goes easy on the SAP resources and constitutes a central administration of all data which were extracted from SAP, without to contradict the self-service idea. Therefore, you can use an on premise SQL Server, an Azure data warehouse or another data warehouse, which is managed by Xtract Universal. 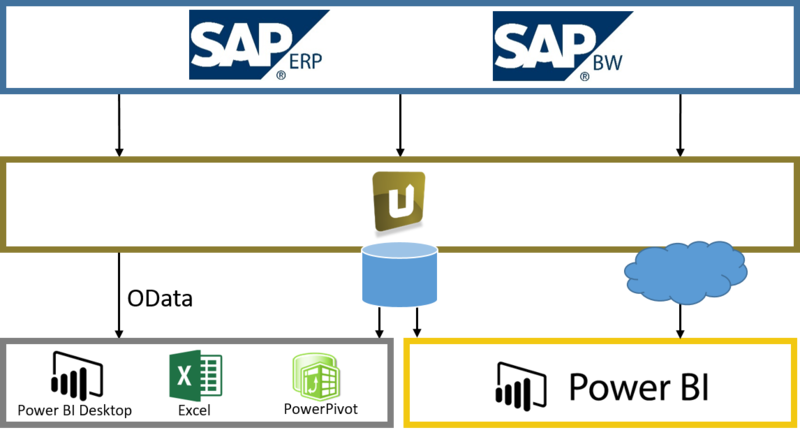 If you are interested in an integration of your SAP ERP or SAP BW system and Power Pivot you can find more information here. The first option ist that Xtract Universal extracts SAP data directly to Power BI (Cloud) without any intermediate storage or middleware. In this approach a dataset is created in Power BI and the SAP data are inserted into the dataset. The second option is to fill a database or data warehouse (e.g. SQL Server, Azure Datawarehouse, etc.) using the concept of Instant Data Warehousing, and subsequently accessing the data with Power BI. As a third option Xtract Universal offers a direct data stream between SAP and PowerPivot or Power BI Desktop, which does not require any intermediate storage. The data is transported through the standard OData protocol.